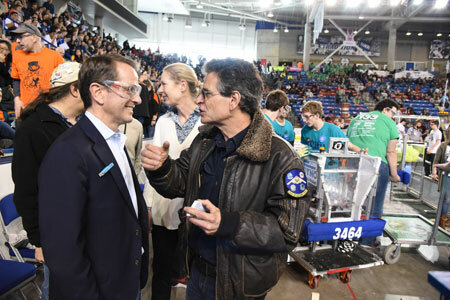 Dean once again challenges FIRST hometown state of New Hampshire to become the "first in the nation" to offer programs in all schools. Governor Sununu accepts Dean's Challenge at the Festival of Champions at SNHU Arena and Twitch broadcast. 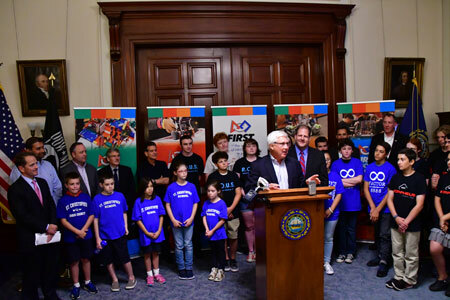 Education Commissioner Edelblut, Senator Morse and Governor Sununu announce the creation of the NH Robotics Fund, $375,000 of unprecedented Department of Education funding offered to NH schools. In 30 days, over 150 schools applied for over $800,000 in grants to start teams across the state. 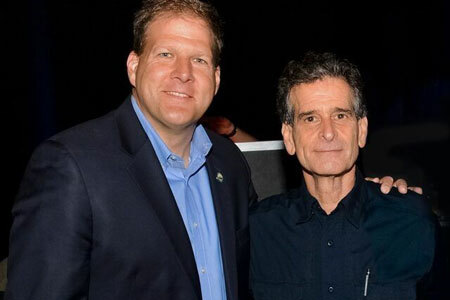 To meet the overwhelming demand, a local group of visionaries challenge NH businesses and philanthropists to contribute to a FIRST NH Fund. To date, we're at $130,000 and growing. 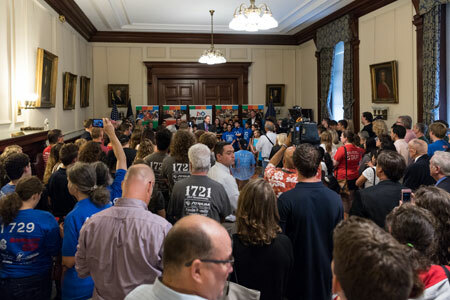 In 2017 business, political, and education leaders came together to create over 100 new FIRST teams, for students of all ages, across New Hampshire.